Swim With Phyn focuses on teaching babies and young children to swim by “learning through play”, playing games, completing challenges and bonding with caregivers - all with the purpose of learning a life-saving skill. At Swim With Phyn, we believe that children learn best when they are taught with love and encouragement, and when they make choices in the learning process. 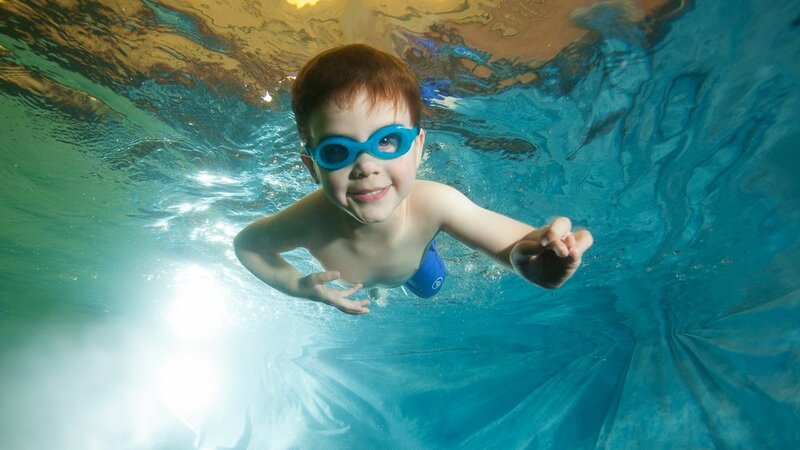 Through consistent cues, your child will learn to swim in a way that is fun and natural. What makes Swim With Phyn different? Julie “Phyn” Smith has over 20 years of swim instruction experience. She has specially developed curriculum for babies and young children. Infants as young as 2 weeks are able to build on natural instincts, continue to hold their breath under water, and learn how to float on their backs. Swim with Phyn is different than other swim schools - you get an experienced, professional teacher, a personal relationship and a strong community. Private lessons are available from birth through 100+ years old! It’s never to late to learn to swim.